Quickly label and identity all your cables for quick re-assemble once you have moved. 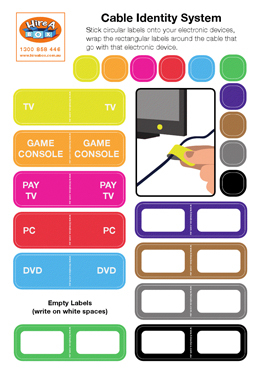 Pre-labelled stickers for your most common items. Place the labels around the cables and the dots on their corresponding machines.